Updated Article page with information for 2019. We could assert that in the process of achieving our fullest potential and highest evolution there are three caves to be cultivated. These are the physical cave of the place of practice the cave of the heart and the cave of the mind. Increased fulfillment and harmony in our life can come from balancing what we already have. Our body is a perfected instrument but sometimes our attitudes and behaviours compromise the body’s ability to function, we allow negative and unproductive thoughts, emotions and actions to dominate our awareness. Research shows mindfulness training (being present with what is) reduces accidents and stress levels. Iyengar yoga is a superb mindfulness training, correct instruction allows all our attributes to be recognised and worked with. This is not easy, the intensity of our own mind creations such as anger, pain, frustration, tiredness etc. are so distracting and we easily take them to be solid and real not self created and relatively real. When we act willfully with awareness we create huge changes in our state of being and make a fuller life based on what is actually happening in our inner world, this is a viable path to transformation. Habitual and casual reactions reduce. Our bodies are totally transformed because the poses aliven muscles, joints and reflexes and this postural change alters the way we move in our daily activities. Yoga is a goal less goal, creating a state of being sufficient in itself, this is the creation of an illuminating lightness and vibrancy of body and mind, which make normal life a joy. We become more centered and clearer about our needs, wants and abilities. Correct practice is needed over time. 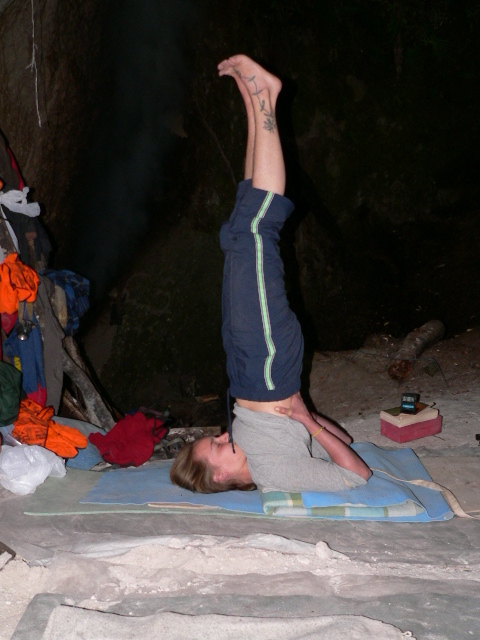 The Yoga Studio in Rotorua with classes in other centers, offers the classical Iyengar Yoga style teaching with a clear emphasis on pranayama (breath work) and mindfulness training. 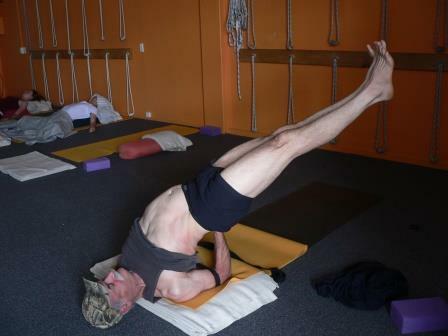 The Director Paul Barton is well certified in the Iyengar Yoga Method. Visiting teachers and training teachers teach at the Studio with regular silent retreats and workshop provided around New Zealand. From working with Health Professionals Paul has put together a range of options for in house programmes for business and institutions wanting to improve health, safety and stress reduction via yoga, mindfulness training and from active participation in a do it your self analysis of you own health and lifestyle.